Eczema is a notorious skin disease as it tends to flare up periodically and subsides. Eczema can be stressful, embarrassing and tiresome due to its chronicity and periodicity. Conventional medicines only have a palliative mode of action in flair ups rather than a cure for eczema. Each time during a flair up patient has to take the medicines and it can continue for long depending on the severity of the episode. Let us understand few facts about eczema and eczema treatment. Eczema is an inflammation of the upper layer of the skin which is characterized by dryness, rash, itching and scaling of the affected part. Eczema in common in children but it can occur at any age. In some cases, the itchy rash may produce an oozing and crusting or sometimes it may appear more scaly, dry, cracked and red. As itching is intolerable in eczema, chronic scratching causes thickening of the skin and gives it a leathery texture called as lichenification. Eczema may cause hyper-pigmentation of the affected parts. Eczema typically occurs on the scalp, face, neck, and the insides of the elbows, knees, and ankles. Atopic dermatitis or dermatitis are the other terms used to describe eczema. Exogenous eczema is caused by contact or exposure to external factors such as irritant substances like chemicals, detergents, cosmetics, certain allergens like food allergen or environmental allergens or due to photosensitivity. Endogenous eczema is caused due to internal factors such as a generalized and prolonged hypersensitivity (atopy) to certain environmental factors. These factors could be chemicals, drugs, pollen, dust mites, etc. These individuals also frequently exhibit one or more of other disorders such as asthma, hay fever, urticaria, food allergies, etc. Atopy usually runs in the families. Genetic components make the person prone to develop eczema whereas environmental factors act as triggering or maintaining factor for eczema. The conventional mode of treatment believes that eczema can be persistent. Long-term treatment over months or years is required to control eczema. And even if one responds to treatment, signs and symptoms may flare up periodically. In some cases anti- allergic, moisturizers, medicines to stop itching can be given to control the flair up and to keep the disease under control. In some severe cases, local or oral corticosteroids can be used to control eczema. Conventional medicines struggle to cure eczema and bring long-term results. Conventional medicines only have a palliative mode of action rather than a cure for eczema. Eczema is nothing but over-response of the immune system to internal or external factors. Eczema cure is possible only if the disturbance of immune system is corrected. According to Homeopathic principles, eczema is an expression of an internal disorder. Therefore the treatment of eczema is not possible only with external applications. Homeopathic treatment of eczema cures the disease of its root by correcting the disturbance of immune system. The individualized homeopathic treatment is based on the study of patients patches, extent, cause, genetic pattern, emotional sphere, hormonal imbalance, and other factors which lead and maintain the disease. 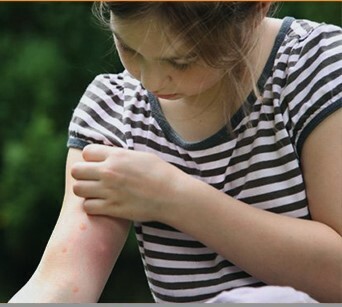 With homeopathic treatment once the immune system is in order, it stops overreacting to stimuli ultimately the inflammatory response stops and it leads to cure of eczema. Cure with no side effects and restoring body’s own healing powers is what homeopathy offers in the treatment of Eczema. Dr. Rajesh Shah’s homeopathic treatment for eczema entails his Patented product along with traditional homeopathic medicines, which give best possible result in treatment of eczema. – Written by Dr. Aparna Hingmire LifeForce team. I am suffering from acute eczema on my thigh and bumb. I have done several remidies from several doctor. Whenever I take my medicine, it is under control, but when we leave, again occors. Please suggest me what I do and proper medicine for completely cure.